This is incredible. Super creative, and it's painted really well too. [: I might have to make one myself! how did you make this badass!? 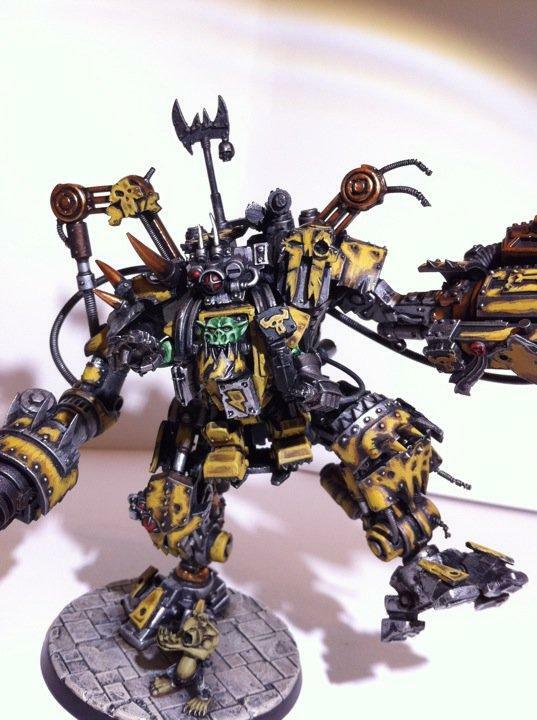 Unbelievable sir, I've been thinking about how cool an Ork Dreadknight would look, and Bad Moons are by far my favourite clan. I salute you. as what do you run it?